2019 marks 400 years since Africans from Angola were forcibly brought to the British colony of Virginia in August 1619. Unfortunately, the great prosperity for the United States was paid for through the painful exploitation, enslavement, dehumanization and near genocide of the Africans and the Indigenous peoples of this land. This is a part of the historic DNA of the United States, home to many of us. There is a need for more people, with more understanding, more alignment, and power enough to compel transformational justice across societies. We need your help. 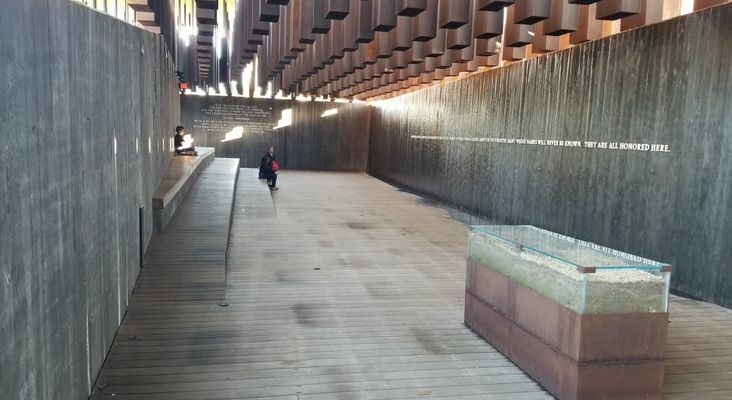 InterPlayers will be commemorating this history by visiting the Legacy Museum and National Memorial for Peace and Justice in Montgomery, AL this summer. We will need funds for transportation, housing and travels stipends for people in need of financial assistance. Please consider supporting this necessary recognition of our brutal history. 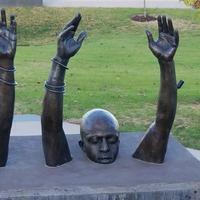 The Legacy Museum and the National Memorial for Peace and Justice in Montgomery, AL., founded in 2015 are important examples of this exalted work. Given that Montgomery is a four-hour drive from the 2019 InterPlay Leaders Gathering, we plan to visit and find stillness as a community. InterPlay Leaders who are descendants of African ethnicities kidnapped and brought to the United States are issuing a call to all Interplayers from across the country and the world to join in a 400-year Commemoration of the forced arrival of their Ancestors. With the support of the Insight Group and the Racial Equity and Transformation Committee. Finally, we call for InterPlayers to contemplate justice in both the historical and contemporary context and how that relates to our Racial Equity and Transformation work. More details on how to register will be shared in the next few weeks.